Protect your home and property through home insurance. Protect your vehicle through auto insurance. Protect your business from unnecessary interruptions with business insurance. Protect your family even if you aren’t around to do it with life insurance. 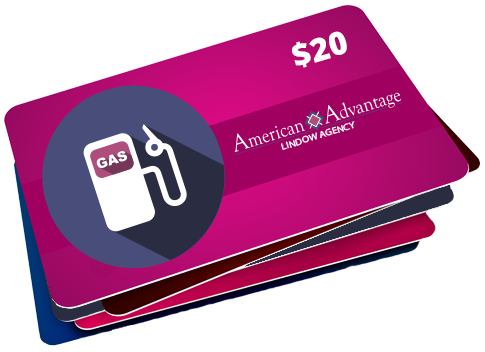 Receive a $20 gas card* when you refer one of your friends or family to us for a free, no obligation comparison quote for their Home, Auto or Business Insurance. With over 40 carriers, we can help you with all of your insurance needs. We will shop our carriers to determine which of them will offer you the best package of products and services at the most reasonable price.